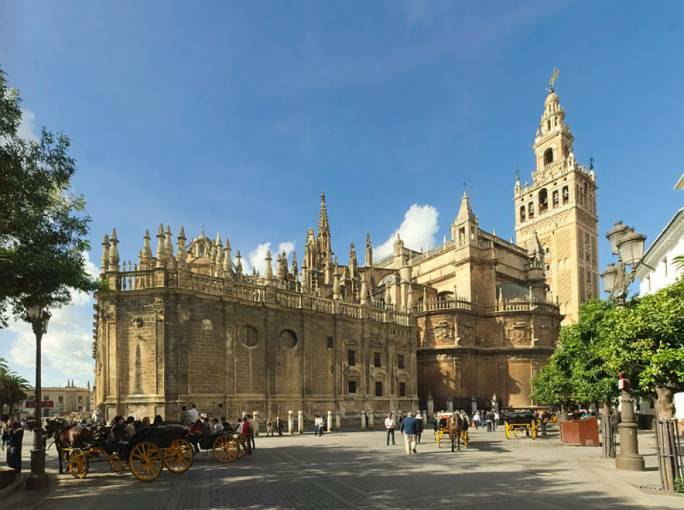 Seville is one UNESCO World Heritage Site after another. So close to the Arab world, Seville is a mixture of rich Moorish heritage, with rich coloured tiles and lobed arches, intermingled with western cultures. With scorching temperatures and even hotter night life, Seville is the ideal summer destination. Many Spanish traditions, like flamenco, tapas and sherry, find their roots in Andalusia’s capital, giving the city a life of it’s own. After it’s completion in the early 16th century, the Seville Cathedral held the title of the world’s biggest cathedral for over a thousand years and is now in third place after the Basilica of the National Shrine of Our Lady of Aparecida, in Brazil, and St Peter’s Basilica in the Vatican City. The Gothic structure brings together 80 different chapels, where, it is said, 500 masses were said daily, and is the burial site of Christopher Colombus. Built on the site of a mosque, there are still hints at this Muslim place of worship, particularly in the Court of the Orange Trees on the northern side. Right next door to the cathedral, and indeed part of the cathedral itself, is the bell tower, better known as La Giralda. With Moorish origins, the bell tower is a minaret for the former mosque where the Muezzin would call the people to prayer. Unlike many other bell towers, where you can reach the top by means of a staircase, this one is accessed by a series of 34 ramps. This was built in this way so that the Muezzin at the time could ride his horse all the way up to the top. The views of the city from the top of the bell tower are breath-taking, making it well worth the trip. Not too far from the cathedral, one of the most beautiful palaces in Spain, the Real Alcázar, was developed my Moorish Muslin kings. The upper levels of the palace are still used as official residences of the royal family, making it the oldest palace still in use in Europe today. From incredible carved coffered ceilings to beautiful courtyards, lush with vegetation, the Real Alcázar should be anyone’s list of destinations in Seville. 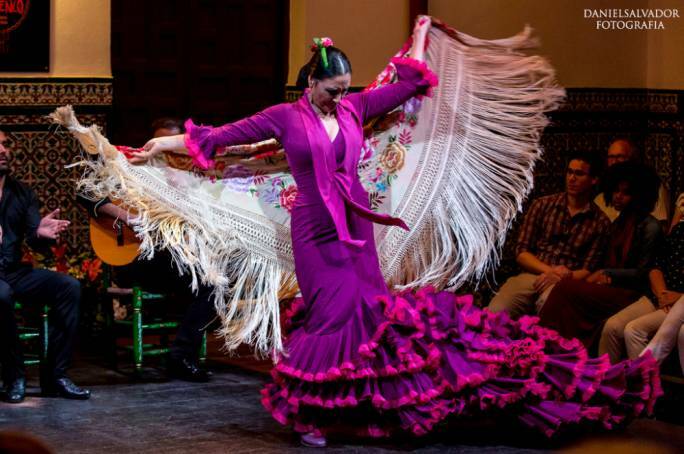 The history of flamenco is open to much debate, though, one thing historians agree on, is that it originated in Andalusia in southern Spain. Flamenco is still very much a part of nightlife in Seville and many a show is put on in the flamenco style. Places of note are Casa de la Memoria, that put on a nightly show of guitar, singing and dancing. Casa del Flamenco is a beautiful venue where the show takes place on the internal patio of a building nestled in the Santa Cruz neighbourhood. With no microphones or amplification, this is as close to the real deal as you will get. Bullfighting is as much a part of Seville life as ever, with the bullfighting calendar going of from March or April until late September at the iconic Plaza de toros de la Real Maestranza de Caballería de Sevilla. With a seating capacity of 12,000 this is the place where bullfighting moved from horseback to foot and many of the cherished theatrical traditions of the matador evolved. If you’d rather not watch the spectacle, opt instead for a visit to the museum including the chapel where the matadors pray before the fight and the infirmary where they are patched up afterwards. Take a moment to travel just outside the city and visit Jerez de la Fontera, famous for it’s sherry wine production and the Royal Andalusian School of Equestrian Art. Marvel at the choreography of this authentic horse ballet, based on the traditional and cowboy methods of taming wild horses, all set to Spanish music. 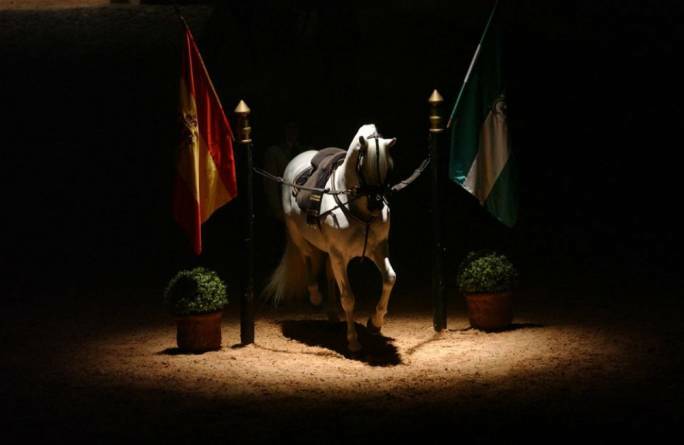 Comparable to the Spanish Riding School in Vienna, the Royal Andalusian School of Equestrian Art is devoted to conserving the ancestral abilities of the Andalusian horse, maintaining the classical traditions of Spanish baroque horsemanship, preparing horses and riders for international dressage competitions, and providing education in all aspects of horsemanship, coachdriving, blacksmithing, the care and breeding of horses, saddlery, and the manufacture and care of horse harness. The Sevillianos are not big on vegetables but if you’re a fan of stewed meats then this is the place for you. Nothing goes to waste in Seville and you’ll find a variety of cuts that aren’t usually served anywhere else. Trotter, tails and cheeks, these are all slow cooked and served with fries, or smaller portions served at tapas bars. Rabo/cola di toro or bulls tail is divided into segments and cooked in red wine, stock and vegetables resulting in meat so tender it falls off the bone at the touch of a fork. The bars around the historic bullring are the best places to try this traditional dish. For the most decadent of tapas, try the flamenquines, similar to croquetas, these meaty snacks are made with slices of Iberian cured ham with chunks of goat cheese, rolled in pork loin, dipped in beaten egg and breadcrumbs and deep fried. 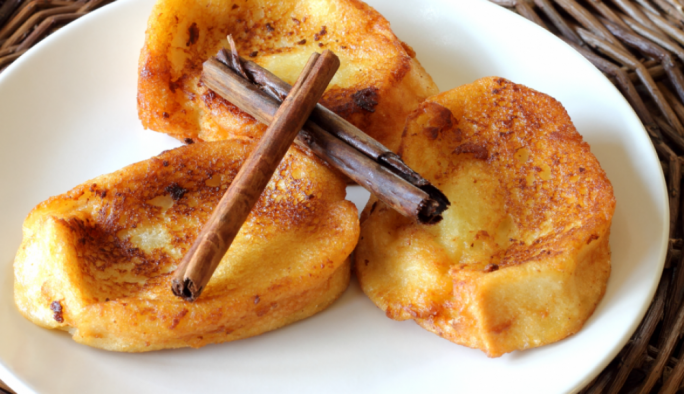 Though not big on sweets, the Sevillianos are pretty fond of torrijas – their own take on French toast, dipped in honey and can be found gathering around pastry shops in the afternoons. 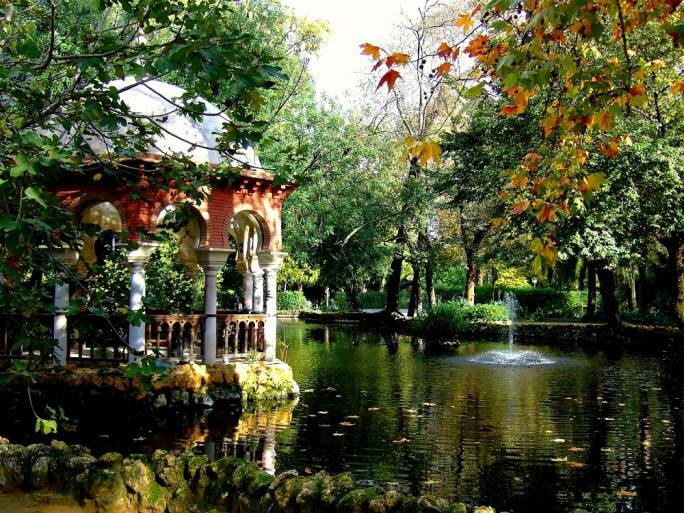 Seville’s principal green area is the Maria Luisa Park. Originially part of the gardens of Palace San Telmo, the grounds were donated to Seville in 1893 by the Infanta Luisa Fernanda, Duchess of Montpensier. Each and every path way leads you down to a pleasant surprise, whether an ornamental pond, pavilion, sculpture or tiled fountain. 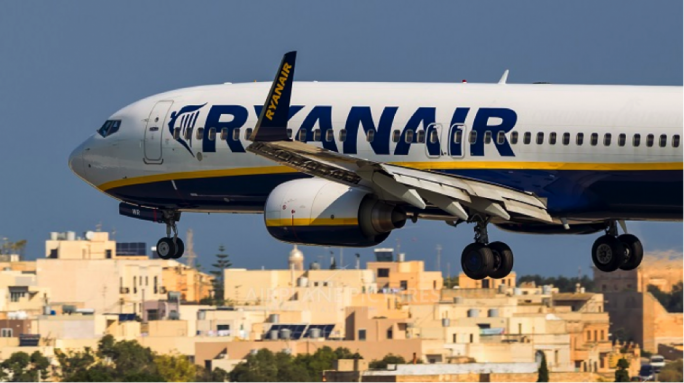 Thought there are no direct flights to Seville, Air Malta and Ryan Air both offer direct flights to Malaga. Seville is a two hour train ride away from Malaga. 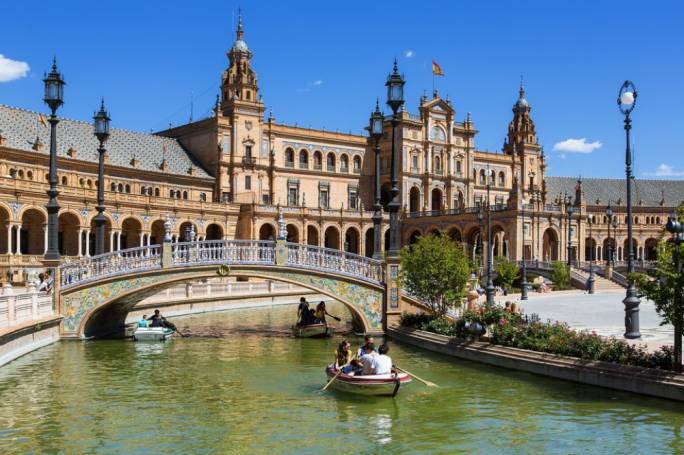 With it’s Mediterranean climate the best time to visit Seville is early summer or autumn when temperatures are mild. However even in the winter, days are cold though often sunny, making Seville a great city destination in the winter. 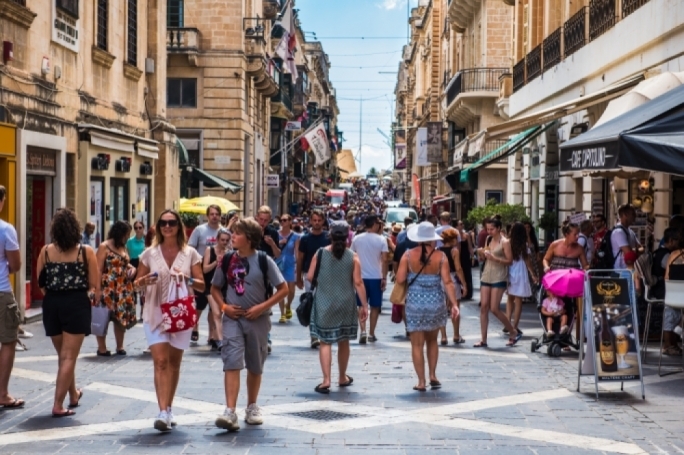 As part of the European Union, Europeans do not need a travel visa to get to Seville.